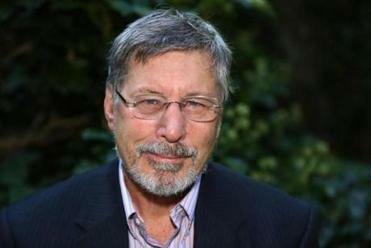 Dr. Bessel van der Kolk founded the Trauma Center in Brookline 35 years ago. Dr. Bessel van der Kolk, a best-selling author on trauma whose research has attracted a worldwide following, has been fired from his job over allegations that he bullied and denigrated employees at his renowned Trauma Center. Van der Kolk was removed as medical director of the Brookline center in January, according to several accounts, although his photo and job description remained prominently on its website until early this week, when the Globe requested information. His firing capped a tumultuous three months at the center that van der Kolk founded 35 years ago. Executive director Joseph Spinazzola, like van der Kolk a longtime advocate for abuse victims, was removed in November over his alleged mistreatment of female employees, executives said. Staff then received a flurry of conflicting e-mails from executives about the reasons for the upheaval, according to copies of the e-mails provided to the Globe. Spinazzola could not be reached for comment. Van der Kolk, in a phone interview, denied that he had mistreated employees and said he was not aware of any specific allegations. He filed a wide-ranging lawsuit in Suffolk Superior Court last week against the Justice Resource Institute, the parent organization of the Trauma Center, accusing executives there of violating his employment contract. “The allegations are a secret, and no one knows what this is about,’’ he said. Dr. Bessel van der Kolk, whose research on post-traumatic stress disorder has attracted a worldwide following, was fired from his job over allegations that he bullied and denigrated employees. Van der Kolk said that JRI is “trying to steal $2.5 million’’ in donations raised by himself and the Trauma Center — an accusation that JRI president Andy Pond said is false. The nonprofit Justice Resource Institute, based in Needham, provides a wide range of programs to Massachusetts and Connecticut residents, including housing, mental health care, and special education. The Trauma Center treats patients and has trained more than 20,000 mental health professionals in the past five years in psychotherapy and play therapy, but also in unconventional approaches such as yoga for patients who suffer from post-traumatic stress disorder, according to its website. Van der Kolk’s 2014 book, “The Body Keeps the Score: Brain, Mind, and Body in the Healing of Trauma,” was a New York Times best-seller. Pond said in an e-mail to the Globe the complaints about mistreatment by the men have come from staff, not patients. He said he could not provide details about the complaints because employees asked that specific comments and actions not be shared publicly. But he said in e-mails to employees that it was clear that he needed to remove Spinazzola and van der Kolk. Employees, however, experienced weeks of confusion over the situation, according to the internal e-mails. On Nov. 14, a Trauma Center executive e-mailed staff that Spinazzola had resigned. The e-mail included a note from Spinazzola saying he left to focus on building a new philanthropic foundation and to tend to family health issues. He said there was “no gray area.’’ And, based on staff input, particularly from women who had complained, “it’s clear that there has to be a more open acknowledgment of what happened.’’ While he provided no specific examples, Pond said the organization had improved its sexual harassment policy by encouraging reporting to a wider range of people. Soon afterward, Kari Beserra, executive vice president at JRI, e-mailed staff saying van der Kolk “will no longer be a part of the JRI Trauma Center moving forward.’’ Van der Kolk responded to that e-mail with his own missive to staff, saying he was fired for attending a meeting with the Trauma Center management team when Pond had told him not to. Van der Kolk’s firing is already having repercussions in the field. Dr. Martin Teicher, director of developmental biopsychiatry research at McLean Hospital, said that McLean, van der Kolk, Boston Children’s Hospital, and Tufts Medical Center had collaborated to apply for a grant from the federal government to study treatment of childhood trauma — a $5 million project rendered now unfundable because of van der Kolk’s removal. “For the sake of all the investigators . . . and the thousands of children who would benefit from the program we designed, I ask you to consider some form of compromise or negotiation with Dr. van der Kolk,’’ Teicher pleaded with Pond in a Feb. 6 letter. A spokeswoman for McLean said the government declined to award the grant.